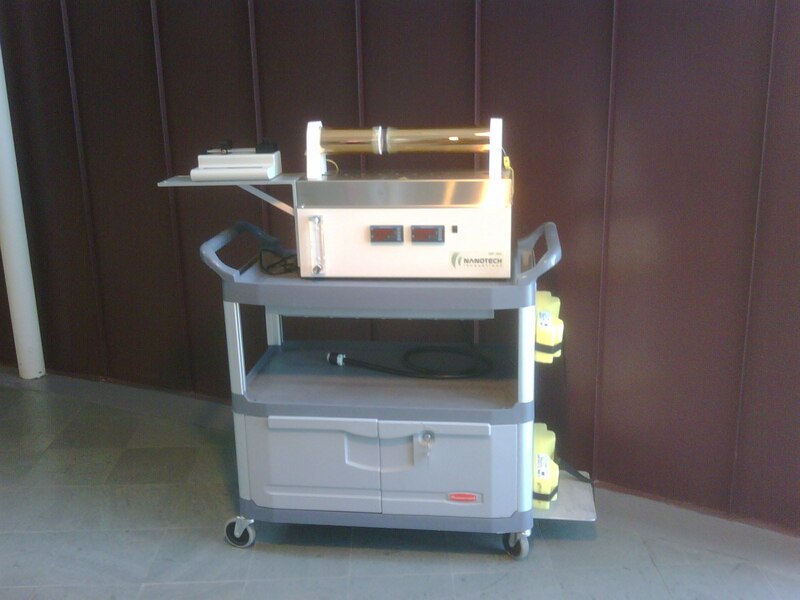 Looking for a research-grade instrument that also allows complete process control for your teaching environment? 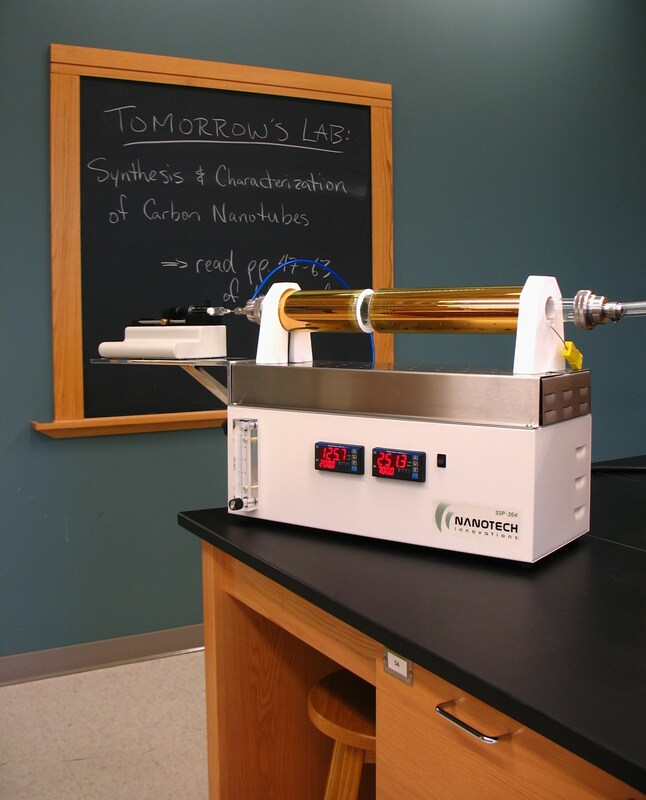 The versatile Nanotech Innovations SSP-354 provides a reliable source of carbon nanotubes for research projects and product development, while serving as a robust educational tool for academic labs. With a footprint of less than 4 sq.ft., the SSP-354 can be located virtually anywhere in your lab, even within standard fume hoods. The novel translucent gold shielding dramatically reduces radiative heating outside the furnace, while allowing visual inspection of the deposition process in motion. If you are enthusiastic to integrate nanotechnology into your research or curricula, look no further. 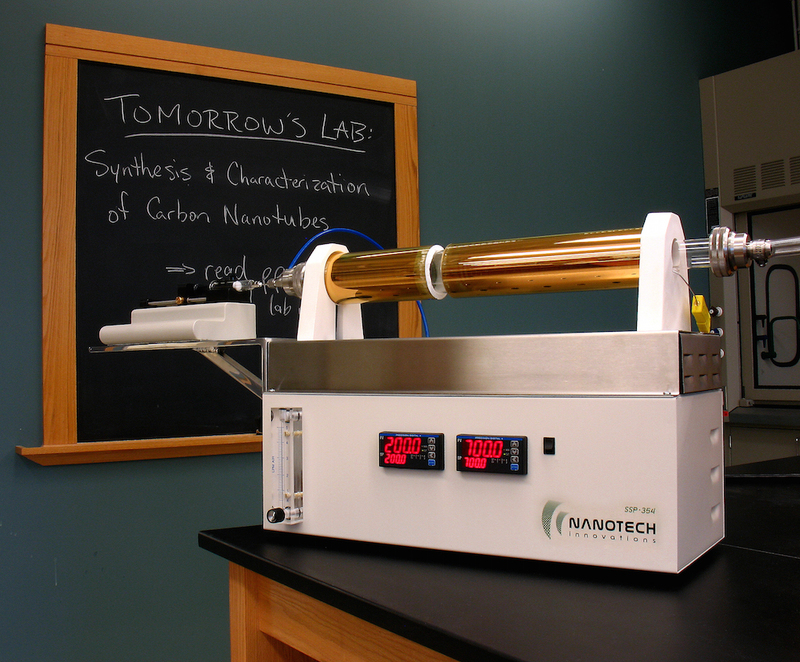 We provide the system, materials and process conditions for you to harvest carbon nanotubes in just a few hours. Perfect for the small laboratory or classroom. Durable enough to handle heavy work volume. Conduct original research of your own to contribute to this growing field. Priced under $20,000 - save money without sacrificing quality. The Nanotech Innovations SSP‐354 is an inexpensive, benchtop system for producing high quality Multiwalled Nanotubes (MWNTs). The CNT synthesizer produces MWNTs with less than 4% impurity. A researcher can produce a 300‐500 mg sample in a typical run with the system, giving them a more than sufficient amount of CNTs with which to conduct research or continue product development. Thermogravimetric Analysis (TGA) confirms that as-grown CNT samples from the SSP‐354 have less than 4% iron catalyst impurity. This low level of initial impurity affords a vast number of applications across a wide range of fields. How long does the nanotube growth process take? Select a frequently asked question above. All that is required is a 20amp outlet, proper venting for the exhaust tubing, and ¼” tubing connected to appropriate lab gas. Best results are achieved with 95%Ar 5%H but 100%Ar or N can be used as well. Our team is available to help with any issues that you might encounter with initial set up and operation. We get very few requests for assistance because of the SSP’s ease of use. 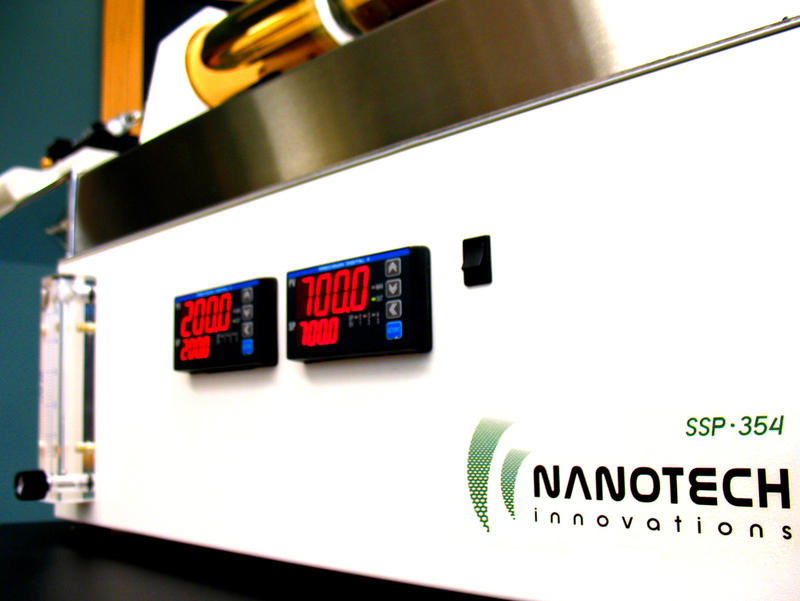 How long does the nanotube growth process take and how large of a sample does it produce? A typical reaction utilizing our patented precursor solution will take about 3 hours from initial start up, through the growth period, to complete cool down and extraction of CNT sample. The resulting sample is typically a couple tenths of a gram (300-500mg). "Rice University is pleased to add the Nanotech Innovations SSP-354 to its extensive capabilities to produce high quality carbon nanotubes. Our emphasis has been on single wall CNTs in the past. 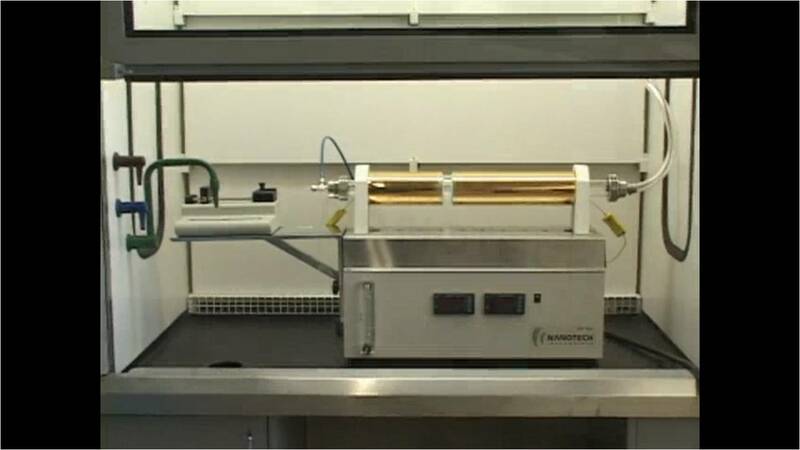 This instrument adds fabrication of high quality multi-walled CNTs to our repertoire in a simple to use system that even first year undergraduate students can use." "The Applied Science and Technologies Department at North Dakota State College of Science-Fargo sees great benefit from incorporating the Nanotech Innovations SSP-354 CNT furnace into the Nanoscience Technology curriculum. By growing CNTs in the lab our students engage in active learning that reinforces concepts such as chemical vapor deposition and self assembly. The CNTs also make good samples to challenge SEM and AFM imaging skills."